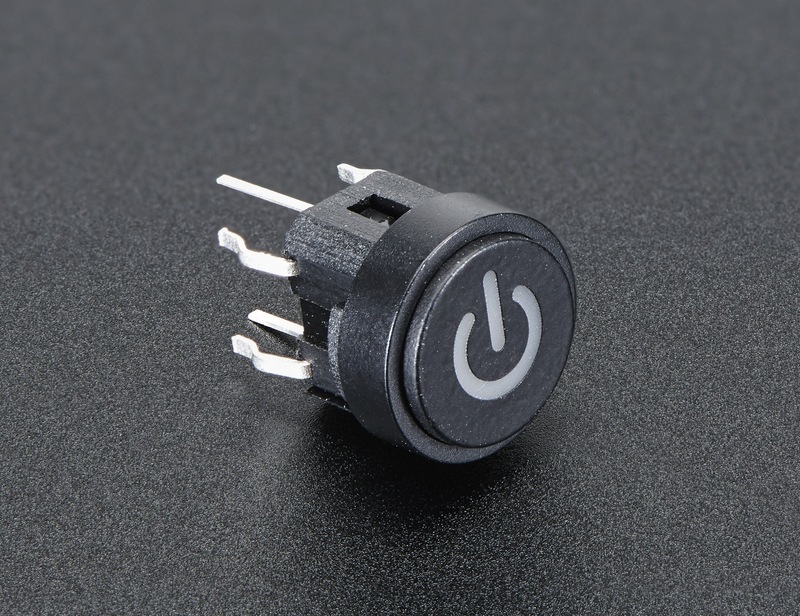 NEW PRODUCTS – Mini Illuminated Momentary Pushbutton – Red and Blue Power Symbols « Adafruit Industries – Makers, hackers, artists, designers and engineers! This Mini Illuminated Momentary Power Button is an adorable breadboard-friendly tactile switch that has a built-in LED. 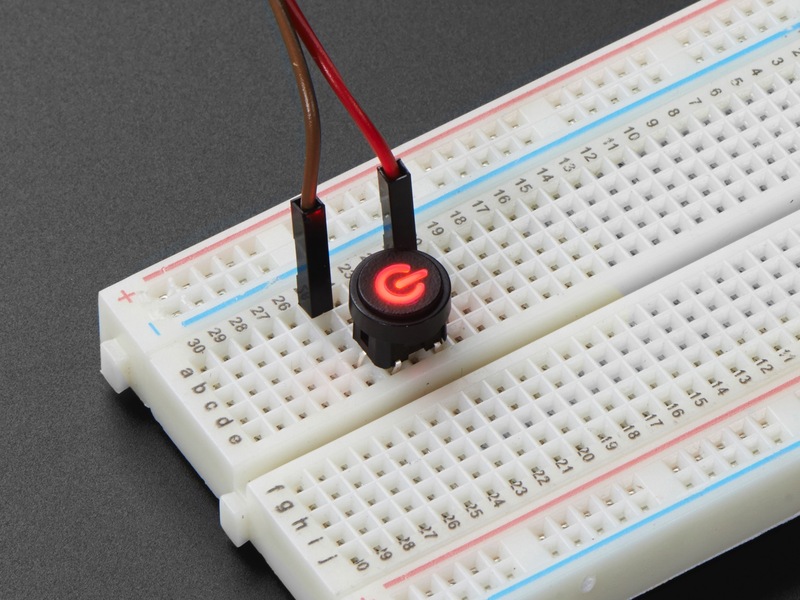 It provides a simple way to add a tactile switch and a colorful universal power symbol to your project. 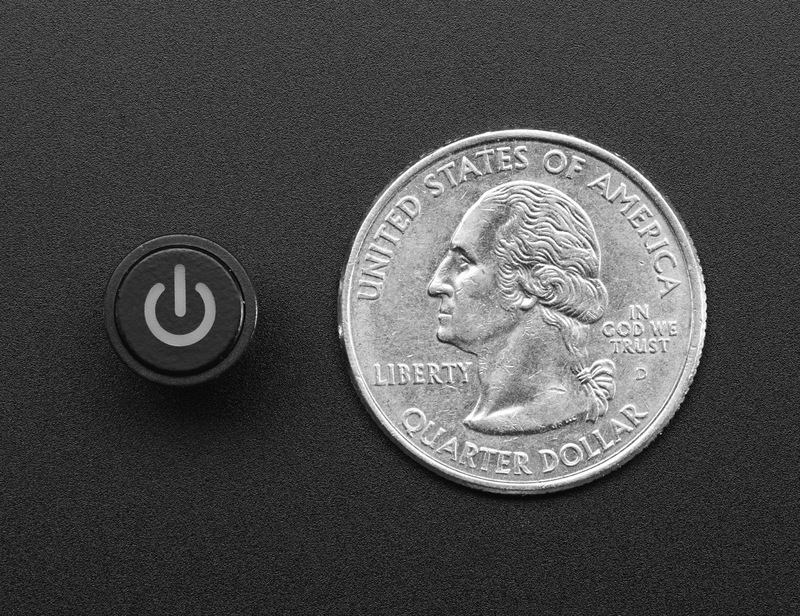 Note that this is a momentary button, not a on-off switch! Also, the LED is not connected to the switch in any way, and does not include a resistor. You’ll need to add your own ~1K resistor and control the LED with a microcontroller pin or whatever you like. We have the switch in both Blue and Red!